An interview with Tariq Ramadan. Hasan Azad: Muslims in the West are facing a great deal of scrutiny and questioning as to their “loyalty” to the countries of their citizenship and belonging. You have argued that the greatest challenge to such rhetoric is a committed citizenship on the part of Muslims that is engaged and contributes to the welfare of the wider community. And yet, there is a prevalent narrative amongst Muslims—which seems to me to be a vestige of old narratives of “us” vs. “them”—that makes many Muslims prefer to help Muslims in other countries, than help local communities and people in need, who may or may not be Muslim: as you have noted, poverty and suffering knows no religion or creed. How can Muslims reclaim the Prophetic imperative of caring for the neighbor, over and above identitarian-pettiness, which will only exacerbate the waves of Islamophobia that Muslims are experiencing? Tariq Ramadan: This is what I’ve been saying for almost twenty-five years: we have to come back to the fundamentals and the principles of Islam. Understanding that there is something very important in our way of dealing with space: that anything that has to do with practicing religion has to do with where you are, and it is related to your neighborhood. 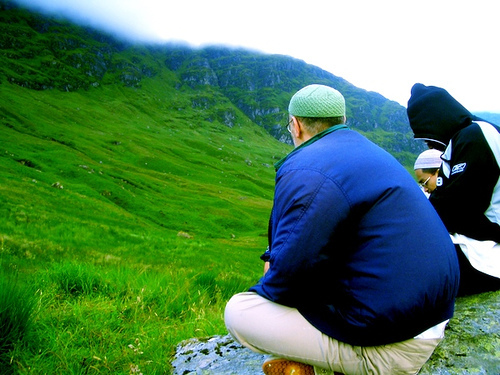 For example, when the Quran refers to: “Those who, if We settle them in the land, establish prayer and give regular charity, promoting what is good and resisting what is bad” (Quran 22:41), what is important is that with the vertical dimension of prayer it means that when you pray somewhere you signify in symbolic terms, which are also practical, that this is home for you. This is what the sociologist Jocelyne Cesari has argued regarding the misunderstanding started in the West when people saw Muslims building mosques, and saw them as colonizing the space. It was in fact the opposite. It was an acknowledgement that we are home. It’s not to colonize, it’s to settle down, it’s to be part of the landscape. The second thing which is important in the verse (“and give regular charity”), zakat (charity), which is also the second practical pillar of Islam—it has to be taken from the rich people in the region to be given to the poor people in the region. So there is something here about nearness, closeness, proximity. I have written an article about how our poor will ask—our poor will ask us—our poor people around us. The Prophetic tradition teaches us that you have not attained completeness of faith until you love for your neighbor what you love for yourself. And the neighbor is not the “Muslim,” the neighbor is your brother or sister in humanity. So the sense of belonging, the sense of “where I am with those with whom I live,” is essential as far as the fundamentals are concerned. Add to this the third part of the verse: “[the people who are] promoting what is good and resisting what is bad.” This means, wherever you are, you start with the vertical dimension with God, the horizontal dimension with the poor, and the active dimension with society to make it a better place, a better space. The question here is not to abide by the law of the country, it is about belonging to the future of the country. And this is where I have been talking in the West about the nation state and the thinking that “you will be a citizen when you abide by the law of the state.” This is actually not true. You can be a foreign citizen by doing only this. A foreign citizen, which is a new status, is, “Yes you have the passport, but you are not perceived as one of us.” To be perceived as one of us you have to belong to the nation, to the narrative: and the narrative is “from where do we come, and where are we all going?” And this is where it’s very important to be an added factor that adds value in our presence in the West. You can see here that from the fundamentals—from prayer, from charity—you are here to change the world for the better, wherever you are. Not by converting people, but by promoting what is right and that which encourages human dignity, by supporting it, and showing solidarity. These are all things that nurture a sense of belonging. Hasan Azad: You have written and spoken extensively about the forgotten spirituality of Islam: how people, more-often-than-not, turn Islam into a religion of do’s and don’ts, when the inner meaning behind the actions are most important, as the Quran and the Prophetic example repeatedly remind us. The Quran, perhaps more than any other religious scripture, exhorts us to look to the world of nature—again and again—in order to come to know God, and to cultivate a deep relationship with the environment. And yet, it seems that Muslims are some of the most disconnected people when it comes to the natural world. I have spoken to Islamic scholars about the pressing need for Muslims to develop a fiqh that is cognizant of the unconscionable, un-Islamic practices that go into mass-meat production, and the response is either that it is a non-issue, or that there are more pressing issues to worry about—such as the political circumstances of Muslims around the world. My response is that the political well-being of Muslims is not separable from how we treat God’s creation—Her ayat, Her signs. And yet, such responses tend to fall on deaf ears. What is the way forward? Tariq Ramadan: I think that it is important to respect the legacy, the turath—that is something that is undeniable. The legacy, our legacy, emerged from human endeavor to respond to the challenges of the time. Today, beyond speaking about fiqh (law), and speaking about usul al-fiqh (philosophy of law), and speaking about maqasid al-sharia (the higher objectives of the law), in Radical Reform (2008) I challenge the way in which there are only five objective of Islamic law, and how these things are conceived as though they are sacred, and we therefore dare not touch them. And yet they come down to us from Al-Juwayni (1028-1085), Abu Hamid al-Ghazali (1058-1111), from Al-Shatibi (d.1388), who all categorized the five essential things to be protected by the sharia as: al-din (religion), al-aql (intelligence), al-nafs (human integrity), al-nasl (progeny), and amwal (goods), with Qarafi (1228-1285) adding dignity (al-‘ird). That’s fine, but things are constantly moving, and we need to reassess these categories because they are human constructs. This is why I have proposed a new structure, a new chart. We should not talk about the goals and the ends only through a legal framework. That’s wrong. There’s law and the philosophy of law. There are means and there are goals. And the laws are but means we need to obtain the goals. But to obtain them, if we only construct the goals through the legal, it means that we are always trying to catch up with reality. In fact, a comprehensive vision should put the goals first, and then think of the rules and even the organization—what we call epistemology, a philosophy of science—in the name of what the goals that we really want to challenge are. Now, if we look at the world, it’s quite clear that we can’t think of the higher objectives of Islam if we don’t deal with the main challenges that we face. If Islam is about peace, if Islam is about life, if Islam is about respecting the creation and the environment, then we have to make these objectives our primary goal, because now we know we have the means to destroy the space in which life is to be protected—meaning, destroying the environment. And yet, we have been producing a fiqh—a law and jurisprudence—that is increasingly disconnected from the ethical goals, and that’s the problem. So we are ready to eat halal meat in the way we slaughter the animals, and not in the way we raise them. That’s not Islam, that’s a distortion of the very spirit and the very understanding of the goals, which is why I have been saying we need to reconcile Muslims with metaphysics, with philosophy of law, with ilm al-kalam (theology) and with ethics, akhlaq, because these things should always be taken into consideration. My next book, in fact, will be dealing with all of these things; it is an introduction to Islamic ethics, because this is where we have to deal with it. Hasan Azad. You have spoken and written about the need for an “intellectual revolution” amongst Muslims. 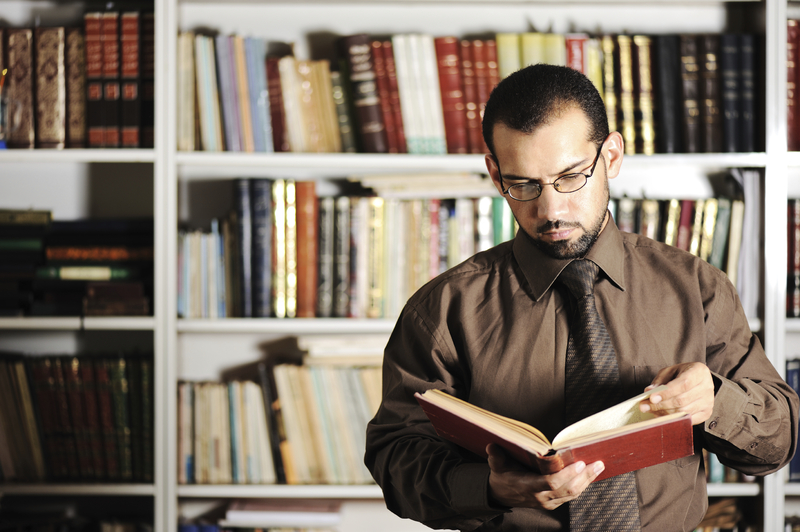 It appears to me that the vast majority of Muslims who are intellectually engaged with their tradition are caught in a type of intellectual dependence (taqlid) which makes it difficult to do serious intellectual work that engages the existing western human, social, and hard sciences in order to “take what is good”—as the Islamic tradition teaches, and as was practiced by Muslim thinkers throughout history, and as you have called for in your book Radical Reform. To my mind, such an intellectual revolution would not be independent and isolated, as much as it would be radically inter-dependent. Western Muslims (and educated Muslims throughout the world) experience a disconnect between the ideal of independent intellectual inquiry within the western educational context, and, all-too-often, the reality of intellectual foreclosure within the contemporary Islamic context. Could you speak to some of these attitudes and practical problems? Tariq Ramadan: It’s also a question of mindset, and it’s very deep here. I would say that there are two main problems that I see, even with our young educated Muslims in the West—not only in Muslim majority countries. The first is a kind of idealization of the past and the great scholars, and therefore what they were providing us with becomes beyond discussion even. This attitude is completely wrong: we deal with our own history in a way which romanticizes it and idealizes it, forgetting that these scholars were human beings, and that even shortly after the Prophet passed away, people were killed in the name of power and divisions. And more importantly, some scholars were simply trying to deal with the questions of their time. So there is something which has to do with idealizing the beginning, and not understanding that the most powerful thing we can learn from these same thinkers is creativity of the mind, and innovative ways of dealing with surrounding questions. The second obstacle we see amongst many Muslims is a false understanding that a deep faith doesn’t question, and we find this especially in the West. It’s this notion that as soon you are connected with the tradition you stop questioning everything, and you have to have a relationship to authority that is very traditional. It’s paradoxical, but it’s happening: while we’ve been very used to being critical in our schools and universities in the West, we jump into the tradition by saying that: “Oh, this is what the Shaykh is thinking, and the Shaykh is telling me, and we have to be within a madhab (school of law) and we have to think within a school of law, and we have to think according to the thinking of the Shaykh. So if we aren’t able to idealize the past, we idealize the Islamic scholars around us—and that’s wrong. The very essence of Islam is that the deeper one understands, the deeper one’s faith becomes. From the earliest scholars and even the companions of the Prophet, we see that if they were to ask a question or to give a legal opinion, they would explain where it was coming from, what the rationale behind it was: meaning the one who is posing a religious question should not only get the answer, but also the intellectual autonomy of the rationale of the answer. So intellectual autonomy is very important, because this is where you are powerful; this is where you are mukallaf, that is, this is where you are responding to God’s call, not simply by repeating what was said, but by understanding the rationale of the answer, and then you take a decision. You don’t take a decision on the final answer, but on the rationale. This is so important in our process that we have to come back to it. And instead of taking from the West some superficial cultural features or trying to be accepted by the West, it is something that is vital. This is why I’m always saying that our historical experience in the West is bringing us back to critical thinking with our mind while keeping our heart alive—it’s not the mind against the heart—it’s the mind in the name of the heart, which is something essential for us today. So I wouldn’t say that these are only procedural attitudes, or downstream attitudes. They have to do with mindset, the way we deal with our history, the way we deal with even the text and being able to say: “Look, as soon as you quote you interpret. As soon as you are quoting the Quran it’s your own interpretation.” It doesn’t mean that we’re saying that there isn’t qat’i (texts that are beyond disputable latitudes of interpretation); but even with qat’i there is interpretation when it comes to implementing them. We have to acknowledge this, and we have to acknowledge the space for humanity in the way we deal with Divinity. Hasan Azad: You mention that it’s not just procedural, that it’s a mindset. To my mind the issue of the arts is very important. I recently I heard you mention in a lecture that as far as Islamic arts are concerned, and Muslims making strides in that realm, it’s not a question of scholars deciding what should be done; it’s a matter for the artists and creative people to decide. As someone who dabbles in the arts in different forms, this resonates with me a great deal. Could you speak a little bit to that: if it’s about “an Islamic ethos,” if one can speak in these terms? 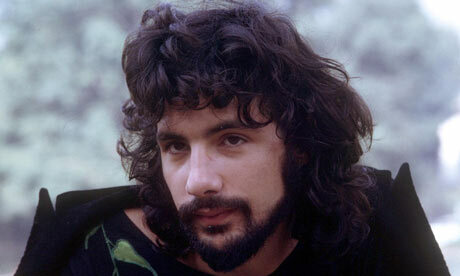 Tariq Ramadan: I was someone who back in 1994, when I met Cat Stevens for the first time, said to him: “Please come back to music. I think you’re making a mistake. You have to, because you have the skills, and you have the voice—you have the spirit. Many things you did before were Islamic without your being Muslim.” I later even wrote a paper saying that now, with him coming back to music, Yusuf is reconciling himself with Cat, and Cat with Yusuf: because there was a bit of Yusuf in Cat, and it would be good for Yusuf to come back to Cat. Hasan Azad: That makes a lot of sense. His music has really gone downhill. Tariq Ramadan: I think that it’s not the same as before. He lost his creativity in this whole process. Because ethical requirements could push you to be more creative, but they can also have the opposite effect, and you end up being fearful of going too far. So I would say that I wouldn’t like anybody to come and put pressure, or moral or legal pressure, or a framework on artists. They have to do exactly what the Prophet said to a man who came to him asking for advice: “Ask your heart.” As long as you are morally equipped your heart knows exactly what your intention is, and what your goals and purposes are, and with what aims, and then you have to open this up. Because in the end, when the Prophet said “Oh Handala, one hour to pray and one hour to rest,” this has to do with wellbeing. 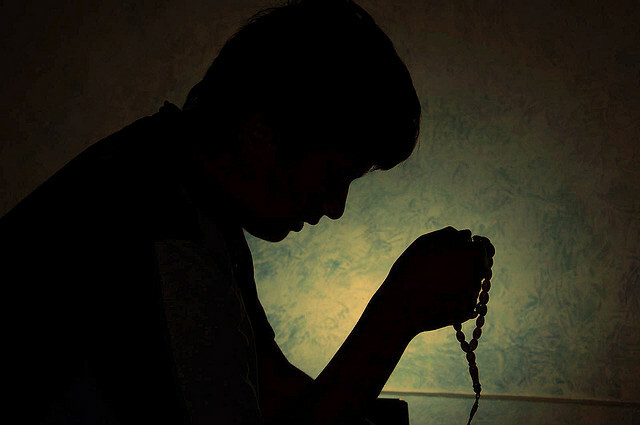 It is one of the main objectives of our life when consider that the Quran says: “Don’t forget your share in this world.” Our share is wellbeing, which is salamatil nafs—the peace of the soul—which is not just praying in the night, it is also to listen to beautiful music, or to look at nature, or anything that has to do with beauty and imagination and expression—this is what we have to celebrate. Now, the only thing we have to add to this is that for us it’s a process of elevation. It’s a process of becoming more human by sometimes forgetting the requirements of our humanity; but to be more human by forgetting our requirements of our consciousness is just to put it at rest for a while—not by being less human—it is another dimension of our humanity. Humanity is not only coming out of our consciousness or our moral requirements. That’s very important. I think that in Muslim-majority countries, even with Islamists, which I wrote about in Islam and the Arab Awakening (2012), one of the main challenges has to do with language, with culture, with wellbeing—it’s about letting me feel good. Don’t just ask me to assess my faith, but allow me to feel the cultural dimension of my being in this world through imagination and the arts. So it’s deeper than moralizing contemporary arts. Doing that would only end up in censorship, which I don’t accept. Hasan Azad: This very much resonates with me. As someone who took up the guitar twenty years ago and then gave it up due to Salafism and various other things, and now having come back to it fully—it’s, as you say, essential. Tariq Ramadan: Yes, we all-too-often underestimate these things in a way that is intellectually criminal. Hasan Azad: Yes, intellectually and possibly “humanly” or “humanely” criminal. It’s very damaging. Tariq Ramadan: Yes, I agree. Hasan Azad is a doctoral candidate specialising in Islamic Studies at Columbia University.